I have to be honest– I’ve never really liked pumpkin… or pumpkin spice anything. I love carving pumpkins and the smell of pumpkin spice lattes and pumpkin pies, but the taste has never been all that appealing to me. So, when I found out M’s favorite pie was pumpkin pie, I knew I would have to learn to at least enjoy baking it, if not eating it. The year that I started blogging, I found the cookbook by The Hummingbird Bakery in London at an Anthropologie store. I have no idea why I wanted the book so badly, I had hardly done any baking before going to London myself. And yet I came back with this weird need to bake and ended up finding a cookbook from a London bakery (fated, perhaps?). 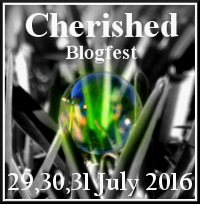 In fact, my first ever blog post was about this! 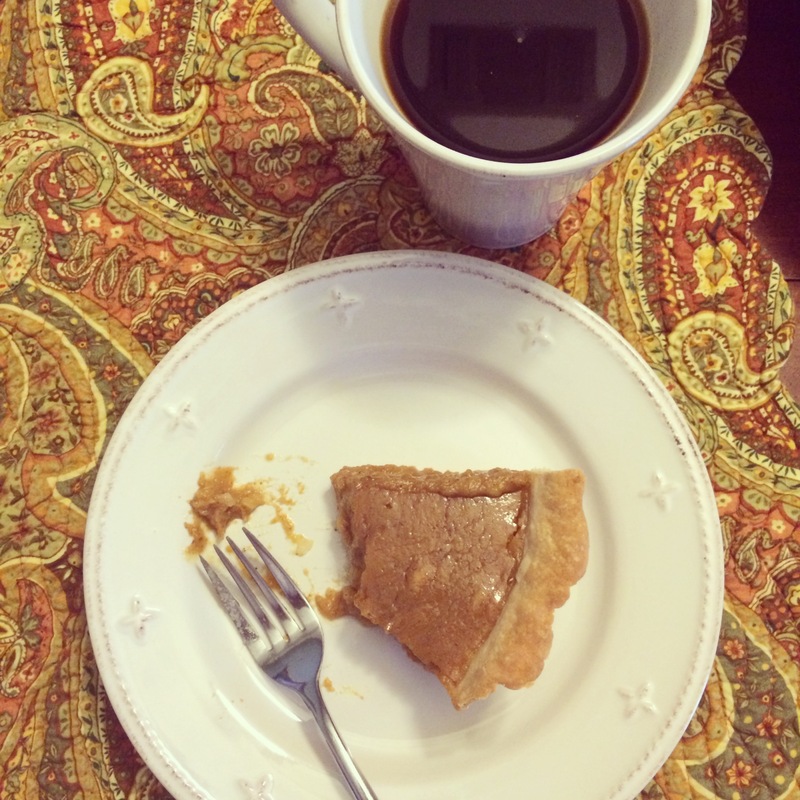 Today I decided I would share this recipe with you, because I only felt it was right with Thanksgiving around the corner. I have actually become pretty popular because of this recipe. 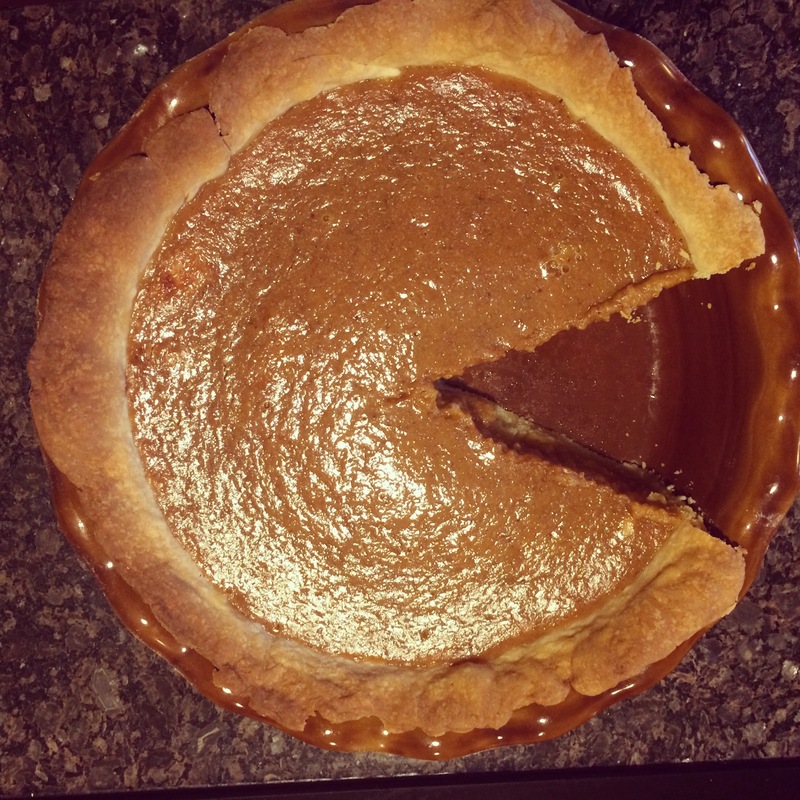 People who never really liked Pumpkin Pie were suddenly stealing slices under M’s nose! I’ve heard it is slightly nontraditional (it ex-nays the nutmeg), so perhaps that is where the popularity comes in. 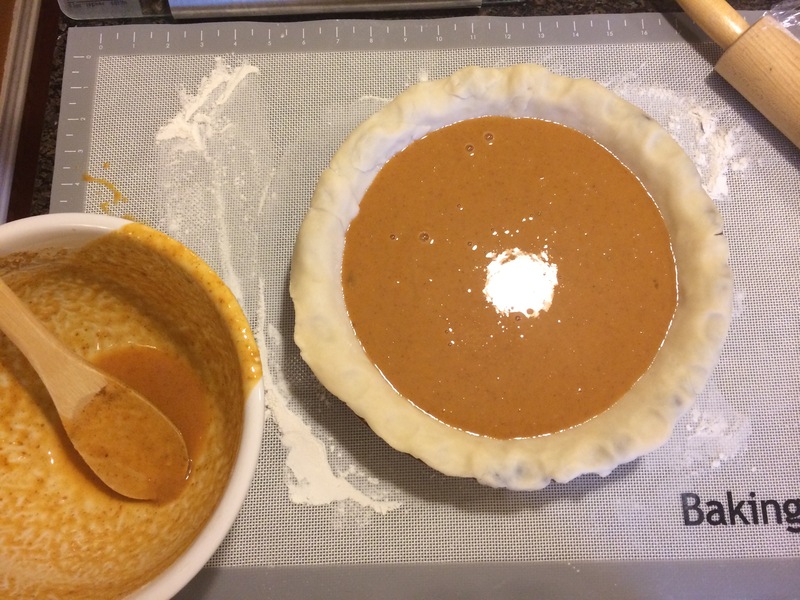 Not to mention, the crust is made from scratch (which is my personal favorite of the whole pie and I use the same crust for all of my other pies as well- it’s that easy and goooood). And even I myself enjoyed a little nibble even though it’s still not my favorite dessert ever. But, I’ll stop rambling and jump right in! Pumpkin Pie recipe adapted from The Hummingbird Bakery Cookbook. You’ll want to make the dough an hour before you want to start making the filling—- the dough must sit in the fridge for an hour. 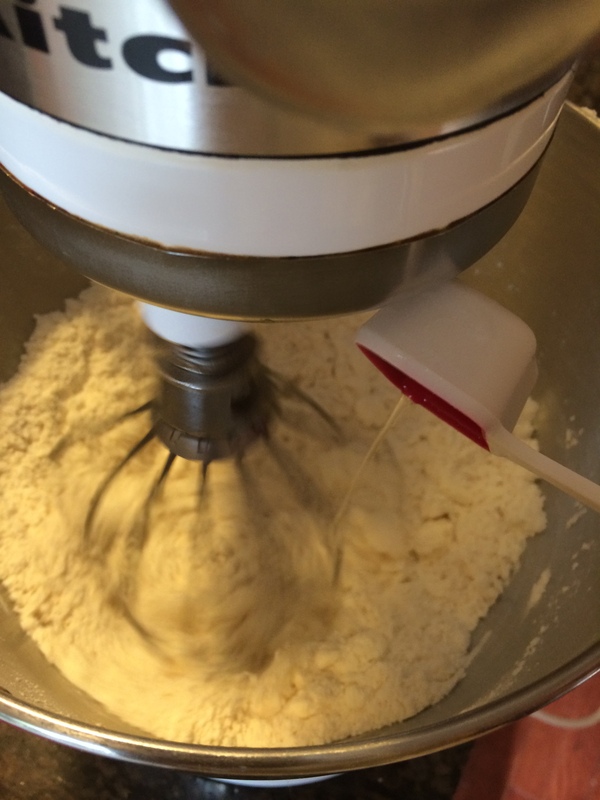 I like to use a KitchenAid standing electric mixer. They are incredibly handy. 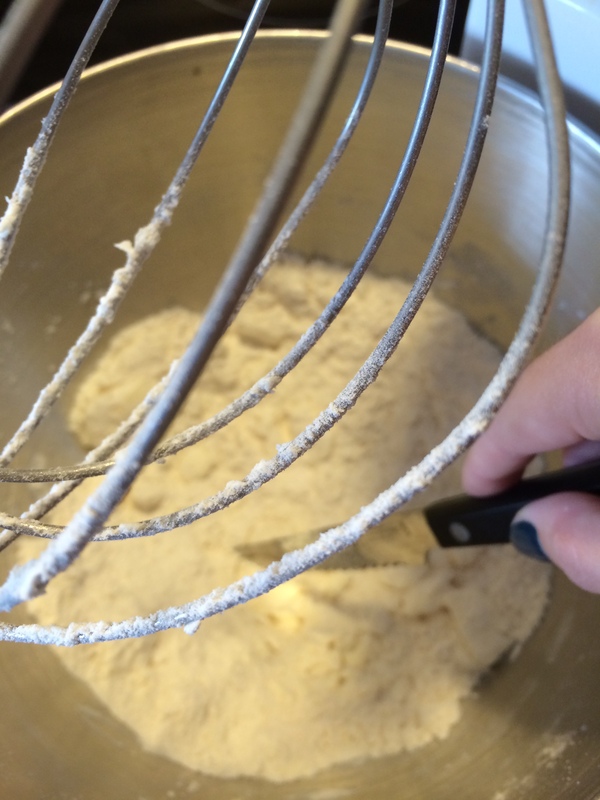 However, I have made this crust with just a hand-held mixer, so that is fine too! 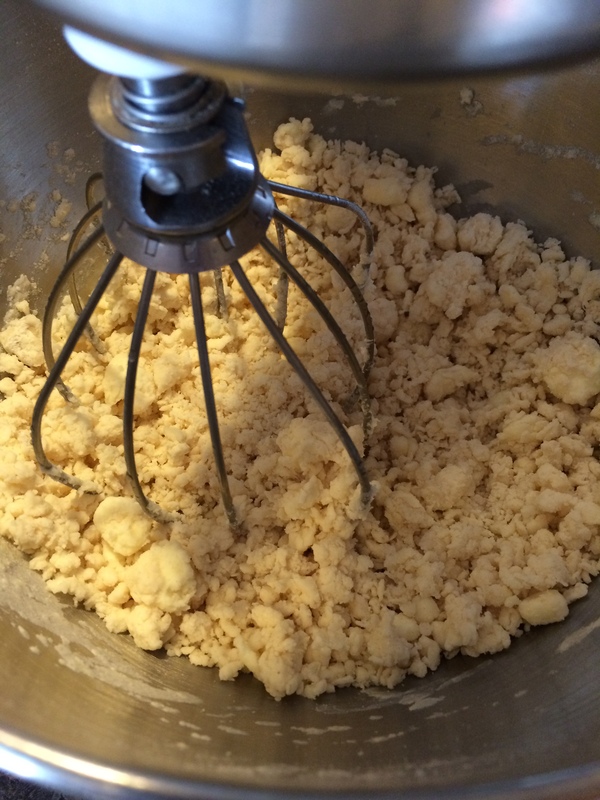 First, I put the flour, salt and butter (in cubes for easier mixing). Beat until it’s combined and it has a sandy consistency. 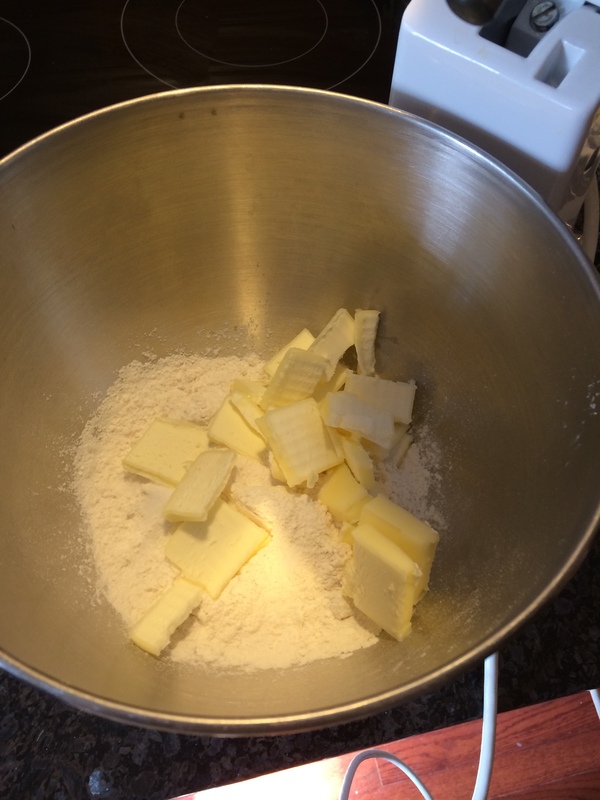 Sometimes I’ll cut the butter up more as I see bigger chunks that aren’t mixing as fast. Then, I fill a small bowl of water and grab a tablespoon. 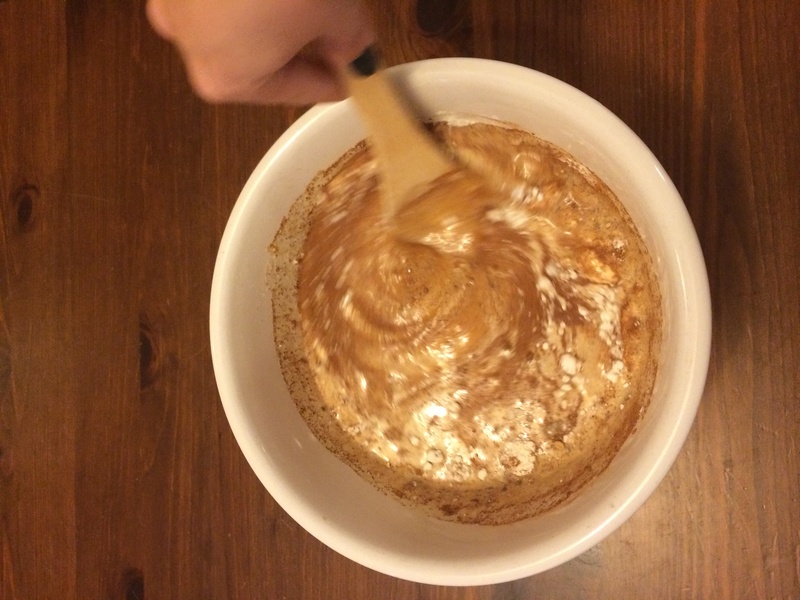 Add one tablespoon to the mixture. 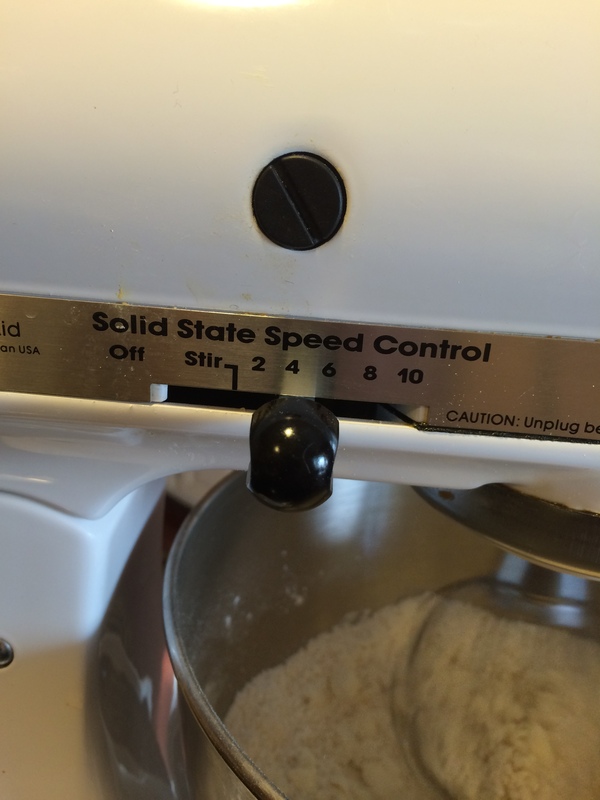 At this time, I increase the speed of the mixer (to a 4 on the KitchenAid freestanding mixer). 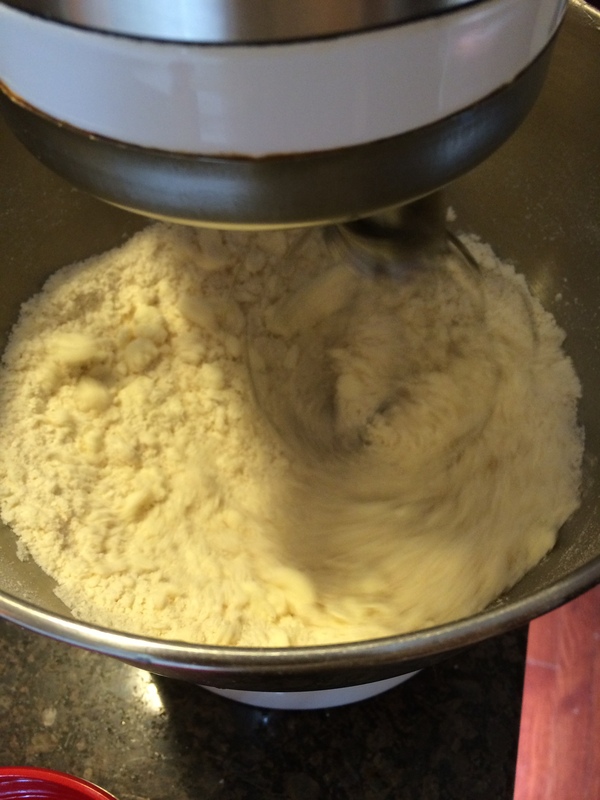 Add another tablespoon once the first is mixed in, and continue to add a tablespoon of water at a time until you have a ball of dough forming. It is best to add as little tablespoons of water as possible. Normally, it takes me 6-8 tablespoons of water. At this point you, you can probably just increase speed and stop adding water. 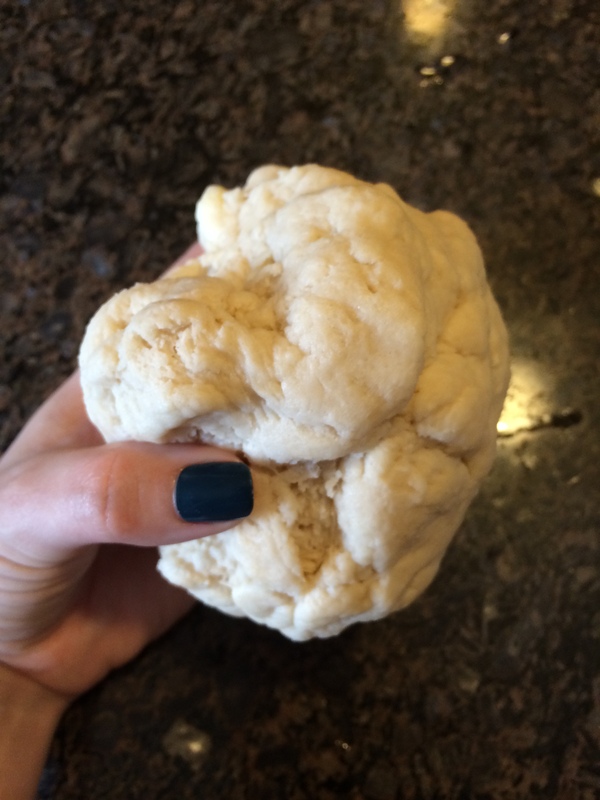 I form a ball of dough and wrap it in plastic wrap and put it in the fridge for at least an hour (I would warn not to leave in your fridge overnight, either my fridge is too cold or the dough will just turn into a rock-just my personal experience, although you can microwave it for a few seconds to make it more workable). 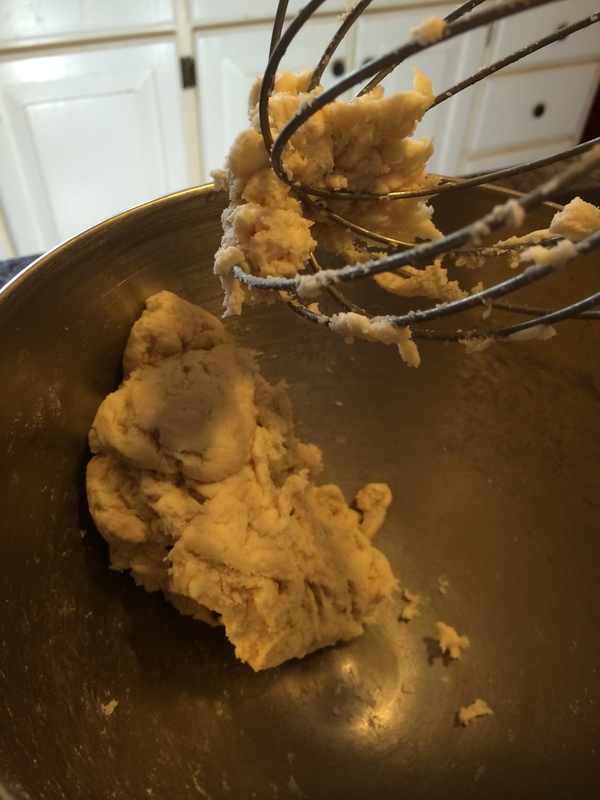 This is when I take a little breather until the dough is almost ready to be used. 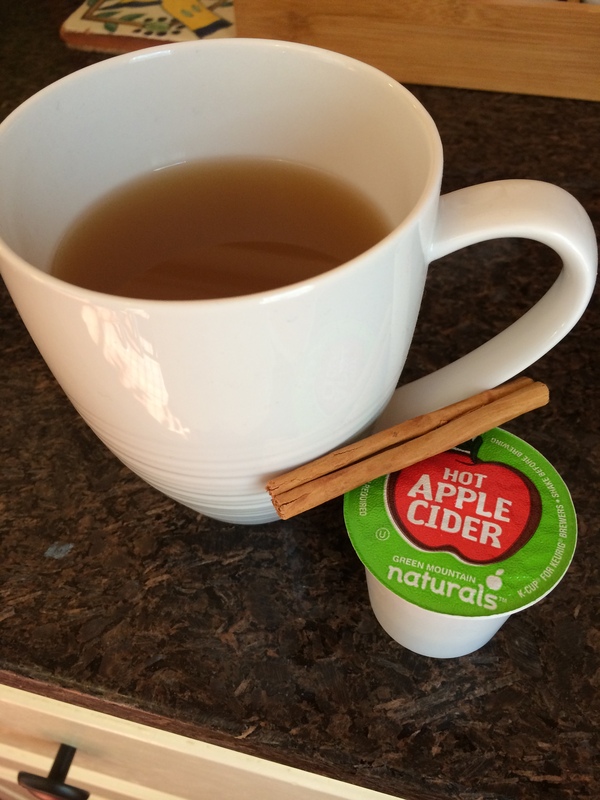 A personal favorite at the moment is making myself some apple cider, it’s only seasonally appropriate! 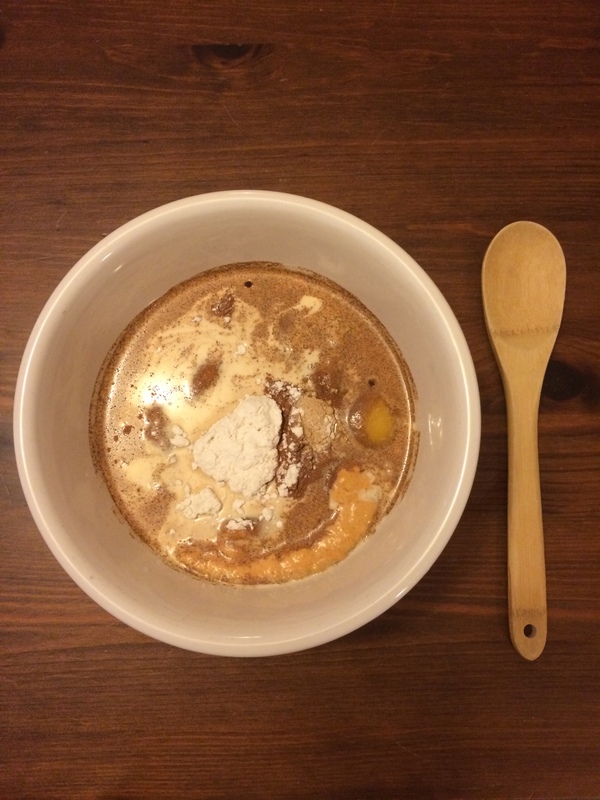 All you have to do is put all of the listed ingredients above into a large bowl and mix with a wooden spoon. Once it is well mixed/combined the filling is done! 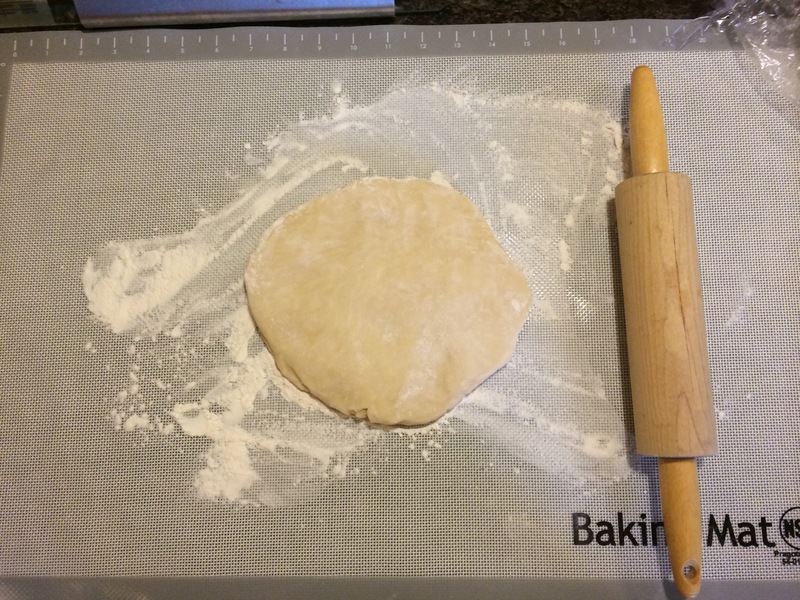 Pretty straightforward- roll out your dough to cover your 9″ pie dish and line the dough into your dish. After that you just add your filling and put it in the preheated oven. 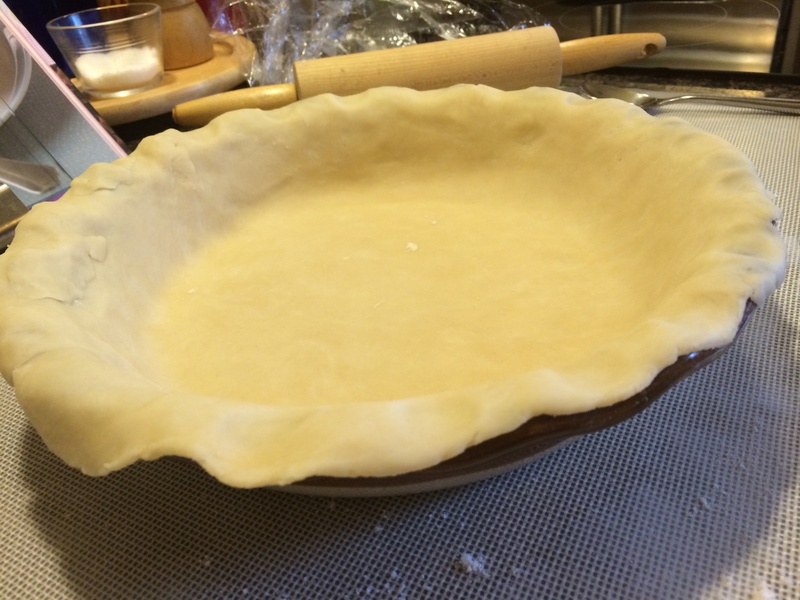 I put it in for 35 minutes, or until the filling is firm and not wobbly. You can sprinkle with cinnamon and serve with whipped cream if you wish, and viola, a fall-worthy pumpkin pie is now sitting in your kitchen and smelling ahhh-mazing. **Disclaimer- I am not a professional baker, nor do I pretend to be. As you can see by the finished product, but I swear it tastes incredible, and at my skill level– that’s all that matters at the moment! Also, you’re supposed to use a paddle attachment for the dough, but I do not currently have one so I just make do and it works all the same! Best Wishes! Anything in Anthro is a good buy!!! This looks delicious…will definitely try it! If you are looking for the The Hummingbird Bakery’s cookbook that I adapted this recipe from, unfortunately, I don’t know if Anthro still has it in stock since I bought it a few years ago. But they are on Amazon. Yet, a visit is always a good idea! I definitely think they have the best selection of cookbooks besides somewhere like William Sonoma.